For our traditional Polish Shabbat meal, Etti Hadar and I consulted the memoirs of Etti’s late uncle, Dov Shimon “Beraleh” Levin. We wanted to make the meal as authentic as possible. With the help of Etti’s mother, Bella, we were able to recreate several family recipes. Most of the dishes were made in the traditional way, from scratch… however we did make a few slight modifications, which I will explain. The dishes are listed and described in the order they were served. I arrived at Etti’s house around noon on a Friday. Etti and her mom were already hard at work preparing the Regel Krushah; it involves a slow simmering process that takes several hours. Wanting to get a head start on the meal, Etti and Bella decided to do the prep work on the Regel Krusha and the chicken soup in advance. By the time I arrived, the Regel Krusha was already in the refrigerator solidifying into a firm jello. 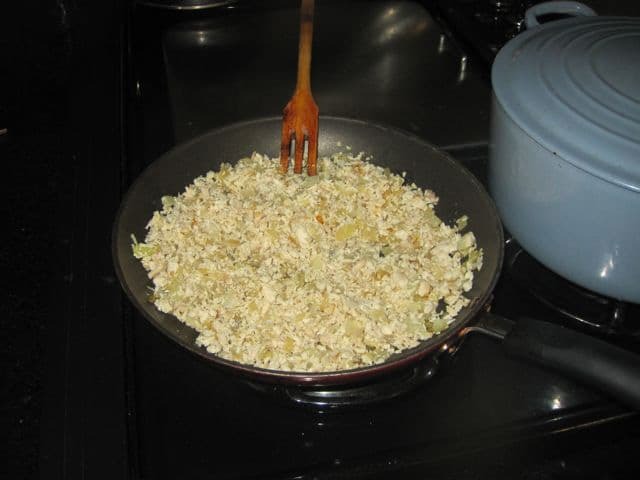 Etti and Bella described the process of making Regel Krusha in detail, and I was able to taste it at dinnertime. Etti’s mom Bella walked us through the process of making Gefilte Fish from scratch. 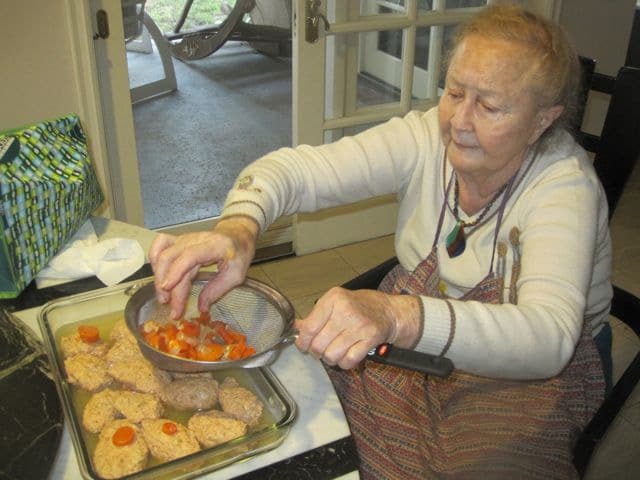 Traditionally gefilte fish is made with carp or whitefish, but Bella makes hers with salmon. She explained that the carp stocked in U.S. stores has a different taste than the carp in Israel. 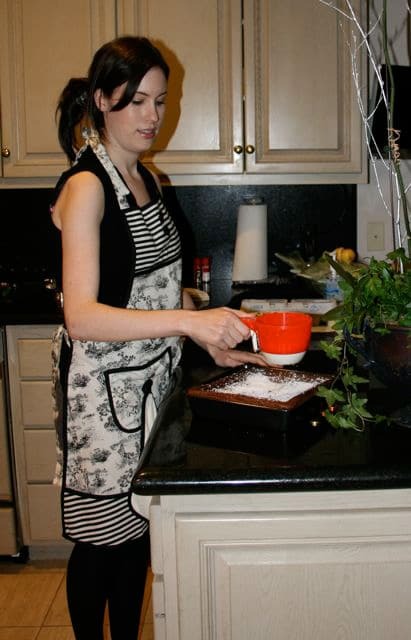 When cooking here in the U.S., she prefers using salmon. Etti ground the fish using a meat grinding attachment for her Kitchenaid mixer, which made quick work of the salmon. She also added a piece of challah to the grinder, to mix in with the meat. It added texture and flavor to the simple recipe. We also made two kinds of horseradish sauce from scratch—one with vinegar, one with mayonnaise. It was a lot of work, and it made my eyes water; the flavor was stronger, but I still think I’ll be buying it from the grocery store! Bella made a simple pot of chicken soup before I arrived. After cooking, she strained out the chicken breasts from the broth and reserved them for our kreplach. Together, we shredded the chicken breasts, then sautéed them with onion, potato, salt, and pepper for a few minutes. Bella also adds a touch of soy sauce for flavor. This created our kreplach filling. Bella has a neat way of making the kreplach. While not exactly traditional, it was wonderfully simple. Instead of making dough and rolling it out, she buys premade wonton dough from the Asian section of the market. Then she fills each wonton with a little bit of filling, to create a quick and easy dumpling. 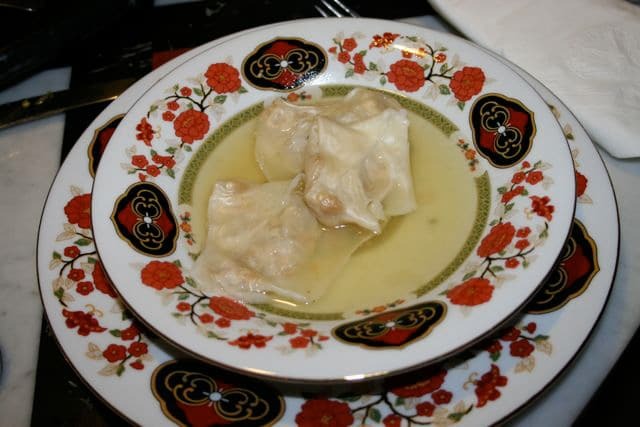 We cooked the kreplach in boiling water, then warmed them in the chicken soup broth just before serving. This was my favorite dish of the night. It’s simple, but delicious! Traditionally, full-sized chicken wings are used in this recipe, with the wing tips clipped and the wing chopped in half. A few days after learning this dish from Etti and Bella, I made it at home with drumsticks and thighs. This photo doesn’t do the dish justice, it’s really yummy! Bella has a family recipe for honey cake, and she generously shared with us how to make it. Most of the Jewish cooks I’ve met tend to eyeball the ingredients, rather than using specific amounts like teaspoons and cups; Bella was no exception. I helped Bella translate her recipe into specific amounts, so that anybody can follow her recipe and get similar results. Bella insisted throughout the cooking process how important it is to taste, even if you’ve got a recipe in front of you. It reminded me how much positive energy goes into Jewish cooking… a Jewish mother cooks with her soul, and Bella is a wonderful example of this. By the time we’d tasted all the previous dishes, we hardly had room for this wonderful kugel. Uncle Dov’s memoir did not give a specific recipe for the kugel they enjoyed in Poland– only that it was sweet, with lots of noodles and cinnamon. Ronnie, Etti’s brother, borrowed a recipe from his friend Eve Eden– a creamy noodle kugel known as Aunt Edie’s Lokshen Kugel. It turned out delicious! We served it warm from the oven, but Ronnie said it’s even better cold. Many thanks to Eve Eden for the wonderful recipe. 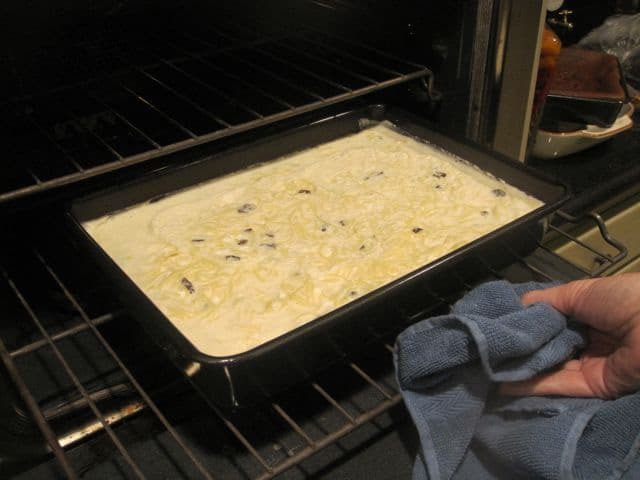 Here’s a picture before we baked it… I forgot to take a picture after it was done! 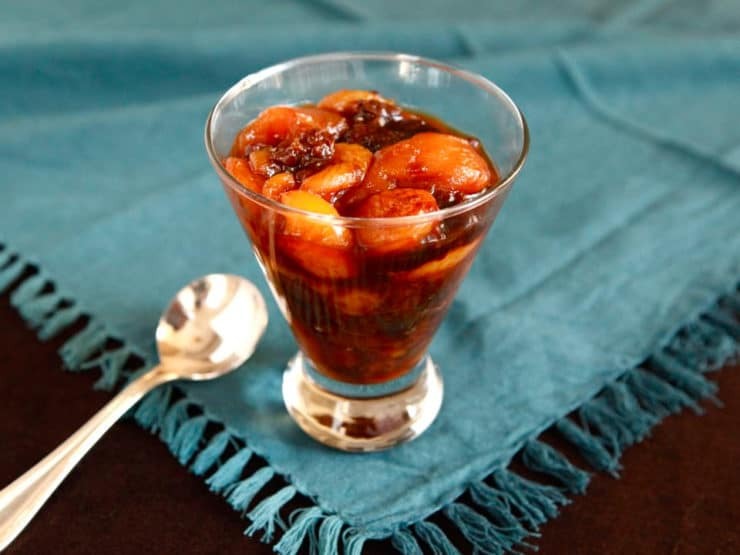 We ended our meal with a taste of Marak Perot, or “Fruit Soup.” This dish is sometimes called Fruit Compote, or just plain Compote (Yiddish). According to Dov’s memoir, Marak Perot was always served cold at the end of a meal to help with digestion. It’s a very light dessert that cleanses the palate. I really enjoyed this one… it was refreshing after that heavy Ashkenazi meal! Etti served it in fruit cocktail glasses, making for a beautiful presentation. Update: I’ve blogged about this recipe! Check it out here. 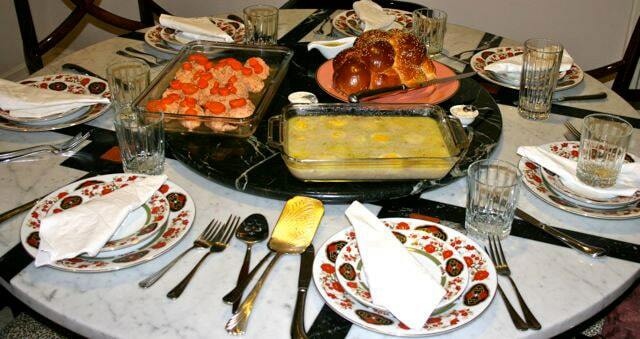 We had a terrific time recreating our authentic Ashkenazi Polish Shabbat meal. Preparing most of the meal from scratch gave us great insight into how much time and effort was spent in the Polish kitchen. Many thanks to Etti Hadar, her mother Bella, and her whole family for being so supportive of our Shabbat experiment. I hope to write more family food profiles like these in the future. 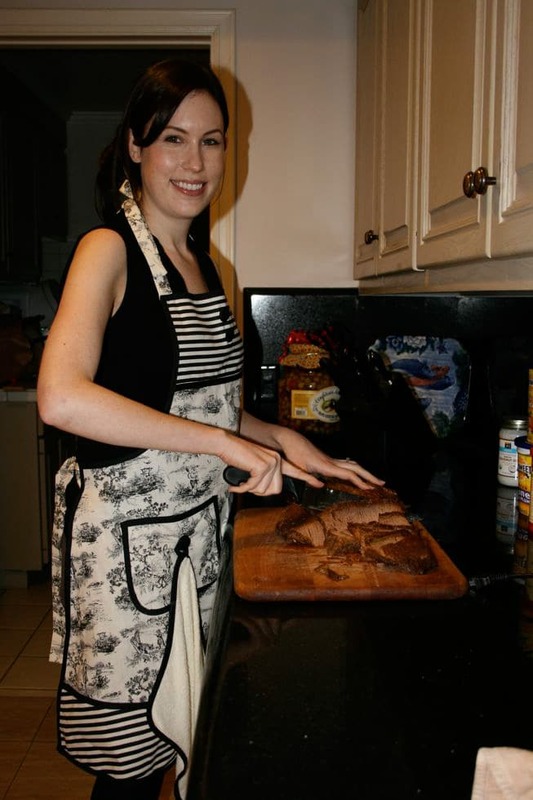 If you’d like to share a Jewish recipe, along with some family history, please contact me! Your family’s story could be featured on a future blog. 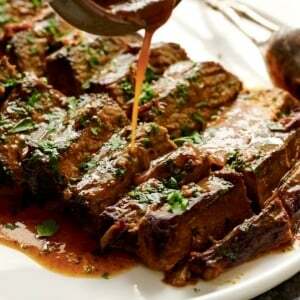 Have brisket cooking using your recipe right now and my house smells like my grandmas from 50 years ago! What beautiful memories I’m having today! Thank you! Do you have a recipe for sponge cake? How about Chremslach? Hi Harriet, Tori’s assistant Ashley here. I’m not sure which links you are referring to, the only link in the post is for the recipe for Marak Perote which can be found at the bottom of the post and that appears to be working on my end. Please let us know if you are having trouble with that link. harvesting the crop.would not have to leave the fields,and would have more time to harvest. I am ashkenazi and i think our food is just gross..Outside of matzoballs, brisket & potatoe latkes, i largley can’t stand it…Liver and fish are always on the menu it seems… aka vomit city…Its like we took all the gross parts of european cuisine and blended into our culture..
Tori, I really enjoyed reading about the traditional meal you cooked and the history behind the family and the food. 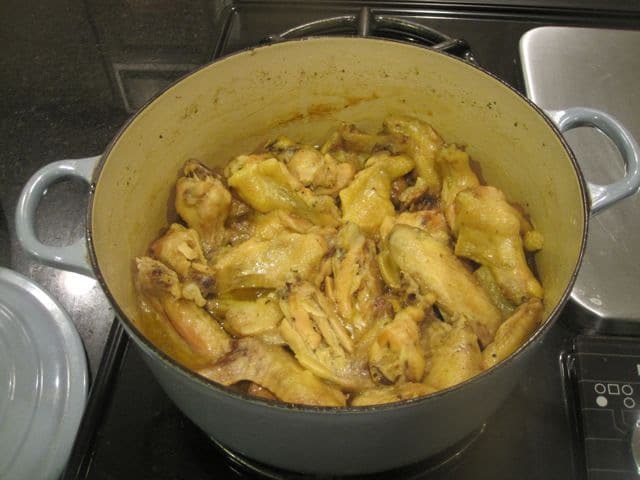 The chicken wings look delicious, would you share the garlic chicken recipe with me? I’d love to try it! Thank you. I started making horse radish whem my Dad stopped doing it. I learned: If you grate it, wear a diver’s mask. 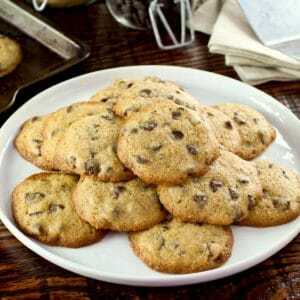 You can make it in a food processor. Shred it, then put it in the bowl (with the blade) and all the seasonings, sugar, vinegar, salt and pepper. If you use beets add them at this stage. No tears, no blown out sinuses. My father used to do it in my yard and hope the wind blew the right way. LOL. Your description of regel krusha made me smile. From what it looks like and from your description, it’s the same as what Russians call Holodetz (http://annasrecipebox.com/2011/02/08/holodetz-aspic/). I’m surprised you even tried it, given that no American I know of has tried it. And when I describe the dish to Americans, I just say “imagine stock that has frozen” (since it’s really what it is), and then I don’t get the “ewww” reaction, which is exactly what I get when I describe it as “meat jelly”. Regarding the Regel Krusha, I prefer to describe it as calve’s foot in aspic. Jello makes it sound even more disgusting. Actually this dish is also found in Russian cuisine. They call it Cholodietz. They used to serve it at the Russian Tea Room. Yes, it is an acquired taste, but then again, so is any meat in aspic. It was a peasant food. They used every edible part of the cow that was Kosher. 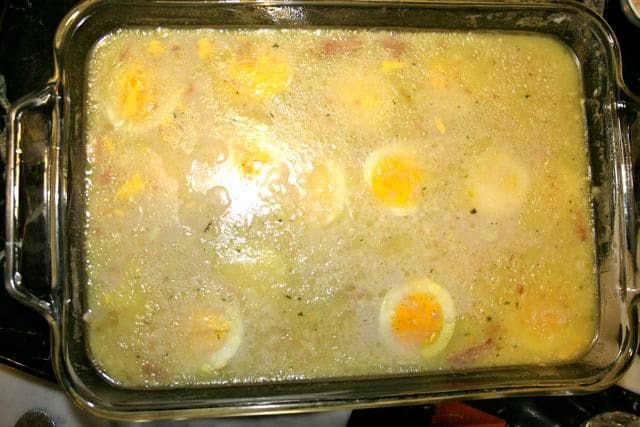 Some add egg, but it is not always necessary. The meat that falls off the foot is also chopped up and falls to the bottom of the dish. Did you by any chance publish your version of Chicken Prikaseh anywhere? 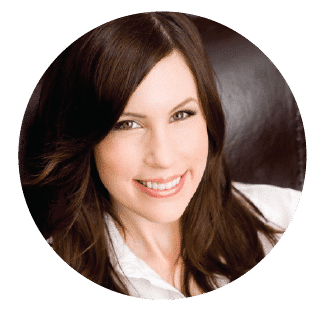 Hi Dana, I can email you the recipe if you want, I have it here in my files. Let me know! I would love that chicken prikaseh recipe also. My dad’s family is from Poland and we are Levin’s as well. I know he would love this dish. I really enjoy your website. I too would love the Chicken Prikaseh recipe!!!! LOVE all your recipes and LOVE Polish food! Tori, have you tried grating the horseradish outdoors? I found a recipe for baked salmon with a parsley and horseradish topping, it is very good. The first time I made it, I bought fresh horseradish root and grated the entire thing on a microplane grater in my kitchen. With all the tears, it’s a wonder I didn’t grate some of my skin in there with it! I decided next time I did it, I would do this part outside, but the next time I wimped out and bought the horseradish in a jar. Great post. Lots of homely favorites. I also wanted to add something about the horseradish sauce. My father makes this from scratch twice a year – near Pesach and Rosh Hashanah. After growing up on the killer fresh sauce, I could not go back to the watered down beetroot “horseradish” concoction sold in jars. It has absolutely no bite. Yes, it’s a bit of work, but what would a good tuna sandwich be without a good dose of bite to it? Must agree with you on the regel krusha. Personally, I can’t deal with the smell of it cooking. I’d go as far as saying it nauseates me. I can’t deal with the texture, the smell of the prepared dish… to the extent that I can’t even bring myself to taste it. Hi Orly, I’m so happy you enjoyed the article. Your father was a very special man, I am grateful to him for sharing his memories with us. my name is orly yesterday i read the article about dov “berale” levin that you wrote . dov was my father i wanted to thank you so much for crediting him for all the efforts he mad .it would have meant allot to him. It was an honor to share your family’s beautiful traditions! I learned so much from you and your mom. Thank you, thank you, thank you! A love for tradition has never weakened a family. Indeed, your writing has strengthened our family’s tradition. Thank you for becoming part of our immediate and extended family.